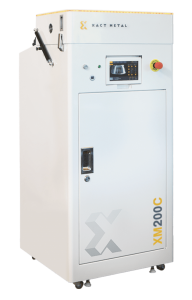 Pennsylvania-based 3D printing Startup, Xact Metal, announced the launch of two new Metal 3D printer XM200C and XM200S early this month. The printers costing only $80,000 and $130,000 respectively are developed to cater to an industry gap in metal 3D printing technology which the founder and CTO Matt Woods identified. The Ex-SpaceX employee, Matt Woods, used his extensive expertise with AM systems and developed a new AM and rapid prototyping printer with Xact Metal. He found a gap in the industry and took the jump to build machines which are not only cheaper than existing machines but also much more developed. The XM200C metal 3D printer boasts of a large build volume of nearly 127mm3. Fitted with a 100W Yb fibre laser and a patent-pending recoater which directly affects the build quality. Scanner allows for fusion at speeds upto 500mm/sec. The system can print with a range of materials like Stainless Steel, Super Alloys, Cobalt Chrome, Hastelloy® X, Tool Steel, Maraging Steel, and Bronze. 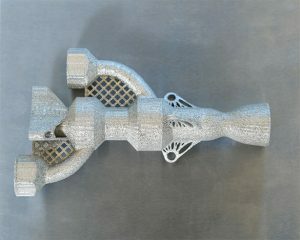 Supported by software suites like Netfabb by Autodesk and the Magics 3D Print Suite by Materalise. Moreover, it is designed with an open architecture which allows experienced designers to develop their own printing parameters or use their own powder. “Making metal powder-bed fusion less expensive requires innovation,” said Matt Woods, CTO of Xact Metal. “Xact Metal’s printing technology is built on the patent-pending Xact Core™, a high-speed gantry system platform that uses light, simple mirrors to move quickly and consistently above the powder bed on an X-Y axis and lowers the overall system cost. In addition, the Xact Core technology avoids the use of complex rotating galvanometer mirrors and F-theta lenses, maintains a constant laser angle across the whole build plate, and provides a simplified gas flow over the powder bed,” Woods added. The XM200S has a build size of 127mm3, almost similar to XM200C. 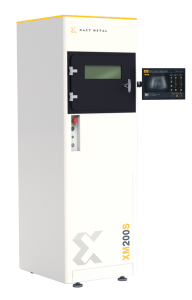 It is fitted with a powerful 200W fibre laser with digital galvanometer mirrors which allow jogging speeds of up to 12m/sec. The system can print with a range of materials like Aluminium, Bronze, Stainless Steel, Super Alloys, Cobalt Chrome, Hastelloy® X, Titanium, Tool Steel, and Maraging Steel. It is supported by industry-leading software suites like Netfabb by Autodesk and the Magics 3D Print Suite by Materalise. 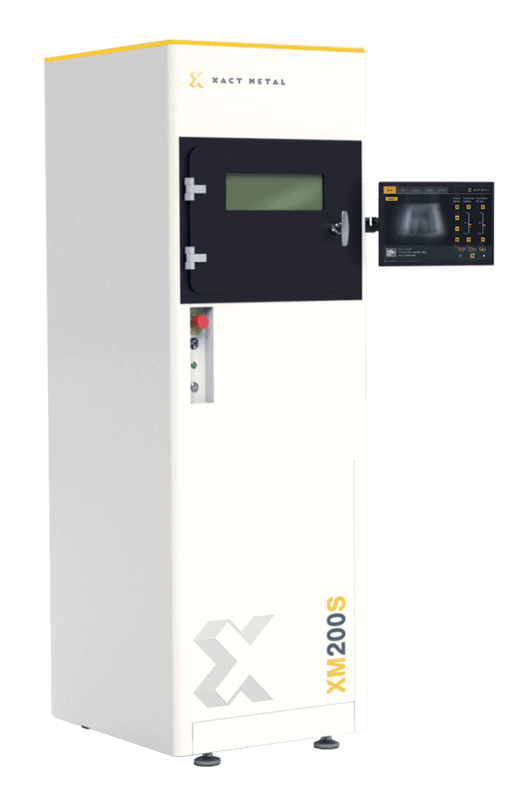 This 3D printer too, like XM200C, is designed with an open architecture which allows experienced designers the ability to develop their own printing parameters or use their own powder. With other basic features like an interactive touch screen and strong after-sales support, the Xact Metal team aims to make a mark with its two machines in the competitive metal 3D printers market.